Do you wan’t to look smart? Now you can purchase one of our original T-Shirt designs in the Reception of our hostels. You can choose between four main designs. If you are coming to Valencia for Fallas 2012 Home Hostels Valencia have chosen several Fallas vents that you cannot miss. Stay at Home Hostels Valencia, budget accommodation and enjoy Fallas 2012 Festival at Valencia City Centre!!! 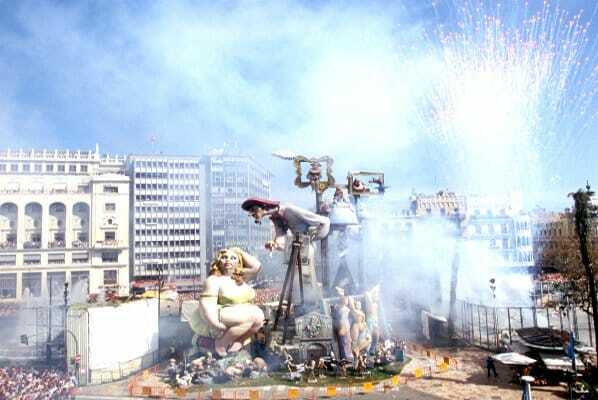 Fallas in Valencia is the main festival of the city, starts at the end of February but the most important days are from 15 to 19th March 2012. The whole city of Valencia is full of colours, firecrackers, lights, music and lots of fun. Do not miss the chance come to Fallas 2012 and stay at Home Hostels Valencia! !